Of all new books on Blanc de Chinese this is my favorite. Its very complete and it is very well thought out. The Frank and Pamela Hickley major collection of blanc de Chine, the white porcelain traditionally produced in Dehua, Fujian Province, South China, was given to the Asian Civilizations Museum, Singapore in 2000. Dehua porcelain, or Blanc de Chine as it is known in the West, is pure ivory-white porcelain made at the Dehua kilns in the southern Chinese province of Fujian. It rose to international significance in the 17th century and inspired aristocratic patronage in the development of European porcelain. Its popularity at home and abroad continued and the kilns at Dehua remain prolific to this day. This is the first comprehensive publication since P. J. Donnelly’s pioneering study thirty years ago. An international group of specialists discuss how, why and when the Dehua porcelain phenomenon occurred. The book is also a catalog of the important Hickley Collection in Singapore. Each piece is illustrated in beautiful full color photography. Four essays on the Dehua production and styles and on the world’s major collections together with an interview with Mrs Pamela Hickley introduce the catalog. 134 pieces from the Collection are illustrated in color and annotated as to style and historical significance. The beauty and great diversity of blanc de Chine is impressively conveyed. Bibliography included. 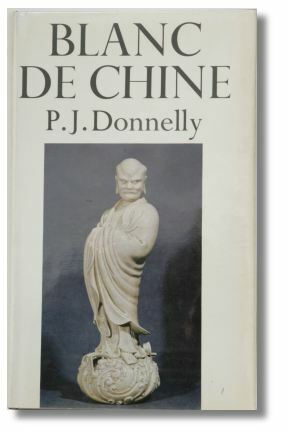 This one and Donnelly and maybe two more books on Blanc de Chine and you should be pretty well covered regarding figures. If we go on and want to cover Dehua and even worse, Fujian wares, then there will be more books needed of course. This book was published in 1990 by the University or Hong Kong in cooperation with the mainland Fujian Provincial Museum and is based on the latest archaeological data there is. The book is very up to date, inexpensive, and a good buy even if the number of illustration are comparably few and the dates put to the different pieces are mostly limited to suggest which dynasty. This is probably a “better buy” than Donelly since it is more up to date and more recent, still it is “light years” behind, in over-all scope. 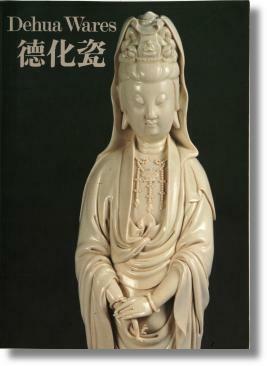 This is the classic book on the white porcelain from the Dehua kilns in Fujian province. This books draws mainly on old well known western collections. The content has been challenged and improved upon in many later books. Still this is the pioneering work and personally I like to combine this classic book with more recent publications and excavation reports. Beginning in the mid-thirteenth century, the kilns of Dehua, capital of the Fujian Province in southeast China, began producing brilliant white porcelain pieces, the likes of which had never been seen before. These pieces were originally crafted with only domestic markets in mind, for use as cooking and serving ware, or for decoration or religious purposes. But as Chinese artifacts made their way around the world, overland on the Silk Route and in the hull of the occasional trading vessel, a significant market for these porcelains blossomed in Europe, where they were prized for their refinement of form and finish. A quite modern book in English, published in 2002, this is an alternative for anyone who just want one book on this ware. I personally don’t think it is enough with just one book if you collect anything, with Blanc-de-chine as no exception, being an exceptionally difficult subject, but this is a good addition anyway. The author is personally a knowledgeable collector of Blanc de Chine. 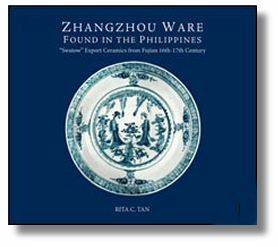 The pictures are great and the book contains the history, development of the ware, early manufacturing and trade as well as details the differences between true Blanc-de-Chine and other, less distinguished white wares. In the book, he provides a rich historical account of the evolution of the form, and the character and technical mastery that distinguish its finest pieces. Today, blanc de Chine are some of the most sought after collectibles in the world of Chinese art, their aesthetic appeal lying in their stark shapes and color, and their impossibly delicate, glass like glaze. 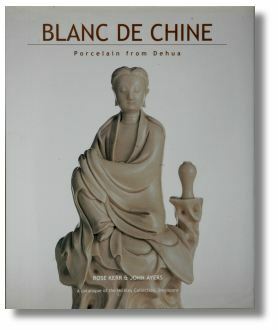 The photos are good and the author share important research findings obtained from private collections and other blanc de Chine resources around the world. 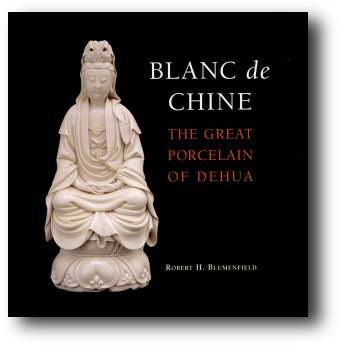 For the beginner collector, Blumenfield details the differences between true blanc de Chine and other, less distinguished white wares. For the Asian art enthusiast, he provides a rich historical account of the evolution of the form, and the character and technical mastery that distinguish its finest pieces.